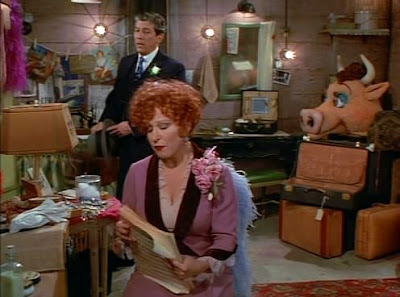 The first part of this film, led by a manic Bette Midler, plays like "Toddlers & Tiaras" for the Great Depression era. Mama Rose (Midler) spends so much time immersing her daughters in showbiz and sick infantilism, insisting on making them wear little girl's clothes well into puberty, that she forgets what is best for her girls altogether. Though not as dark a musical as Tim Burton's "Sweeney Todd" or Lars Von Trier's "Dancer in the Dark," "Gypsy" emanates a diseased kind of wistfulness, marked by broken dreams and shattered egos. 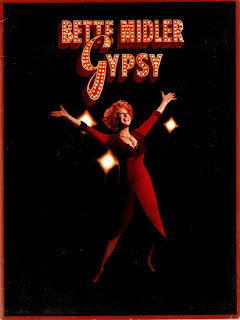 Meanwhile Bette Midler plays Mama Rose as if it was her last performance on earth, but backed up by the stagy sets and old-timey attitude, her performance is actually a strength, not a deterrent. Rose's daughters, Louise and June (Cynthia Gibb and Jennifer Rae Beck), are as different as different can be, but remain close, their bonds strengthened by having survived their mother. Louise, gawky and shy, is innocent and soft spoken, while June, the "'star" of mama's show, is more political and assertive. Mama Rose is both outrageously self-centered and ridiculously narcissistic, guided not so much by dreams as delusions. She ruins her daughters' lives and later expects them to thank her for it. But it's hard not to pity her as she struggles to find success in a world that doesn't hand out fame easily. Into this disastrous dynamic strolls Herbie (Peter Riegert), an agent who attempts to help Mama Rose on her way to success in exchange for her hand in marriage. But it seems that Mama can not be held down, and even Herbie may soon grow sick of her games. There are some overtones in this film which could be considered an allegory for loss of innocence in the entertainment industry. The acting is good but not amazing, but the story and the music are the real reasons to watch this. The plot itself is based on a memoir by Gypsy Rose Lee (AKA Louise) who found fame at long last at the price of her innocence. 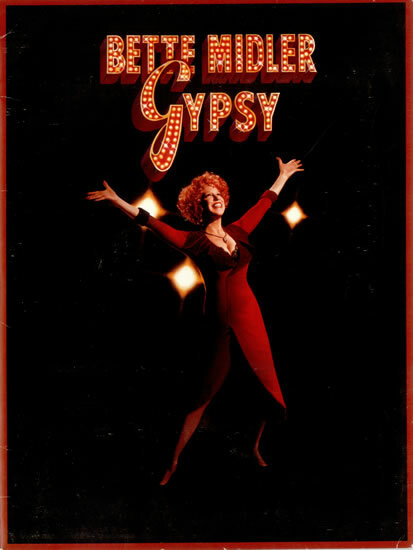 Overall the movie is worth watching as a very good musical, with Bette Midler running the show as crazy Mama Rose. Recommended.